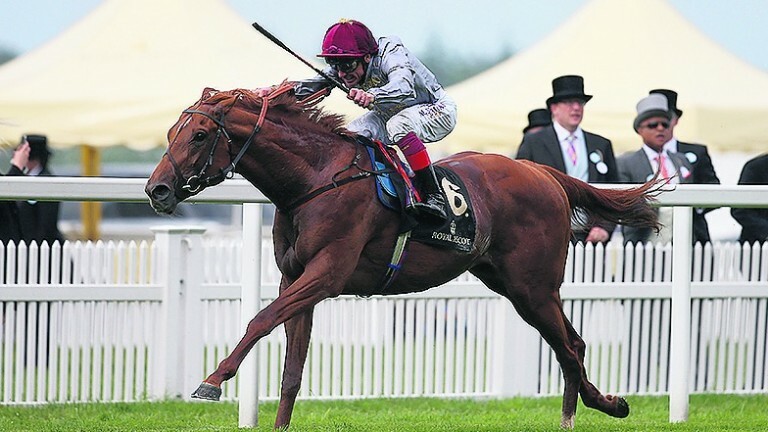 When Galileo Gold followed up last year's 2,000 Guineas win by beating The Gurkha in the St James's Palace Stakes Hugo Palmer described him as "a real life-changer, and the dream horse we all desperately want." "Thankfully," he added, "I haven't messed him up." It would be harsh to suggest Palmer "messed up" after Royal Ascot, but the second half of the season was not such a success, notwithstanding a good second in the Sussex Stakes. 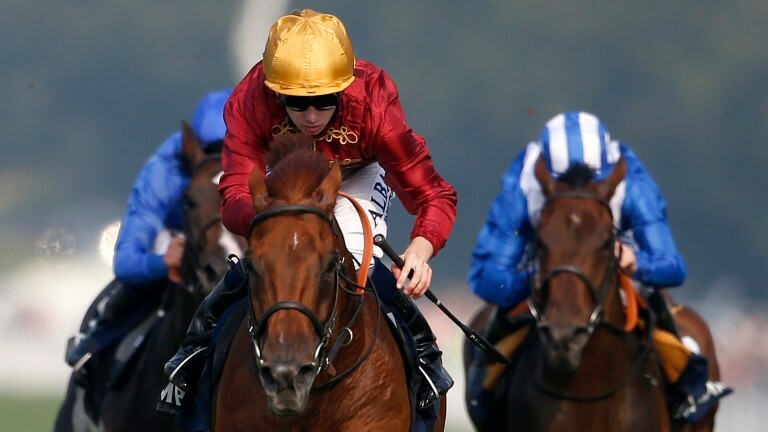 Palmer admitted: "With the benefit of hindsight we would not have gone to France so soon after the Sussex Stakes. It came very quick, and although he was eating well and looking well he hadn't had the time to settle down after Goodwood, which is not as relaxing an experience for a horse as many tracks." Galileo Gold was "wired" when he went to France, according to Palmer, and as a consequence he gave Frankie Dettori a horrible time. It was little better in Ascot's QEII, and the love affair that had blossomed between horse and jockey was in danger of going sour. Not any more. Palmer explained: "Riding a horse who is buzzed up is not a very nice experience. 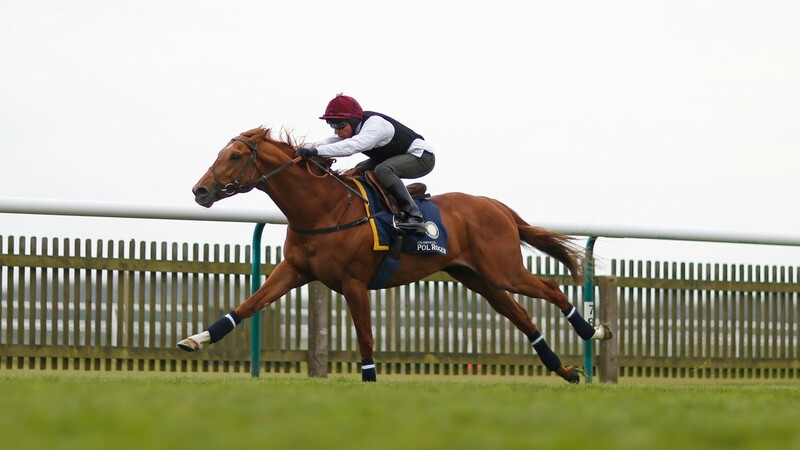 Galileo Gold gave Frankie a peach of a spin in the Guineas, and vice versa. "That was all wonderful, but neither of them enjoyed their time in France, nor at Ascot at the end of the year, and that special bond between them looked a bit shaky. "The great thing is that he's grown up, and he seems much more settled and relaxed. As well as looking more mature physically, he's mentally more mature too. "Frankie looks in on him every time he passes the stable, to check he's still alive, but he only rides him on the racecourse, and so he rode him [in a racecourse gallop] at the Craven meeting but hasn't ridden him since. They seemed very happy with each other that day." The proof of the pudding will be in the eating, but Palmer is more than hopeful. He said: "Of course he's going to need to be a better horse this year, but he won't mind the ground and I imagine there will be some pace, since a crawl wouldn't suit Ribchester either. We should have a fair race, and may the best horse win." Richard Fahey has never made any attempt to play down his high opinion of Ribchester, and why should he? Three wins from ten starts might sound like a poor return for a supposed top-notcher, but last August's Group 1 defeat of Vadamos in Deauville's Prix Jacques le Marois represented top-class miling form, and Ribchester's subsequent half-length second to the brilliant Minding in Ascot's QEII was arguably a new personal best. 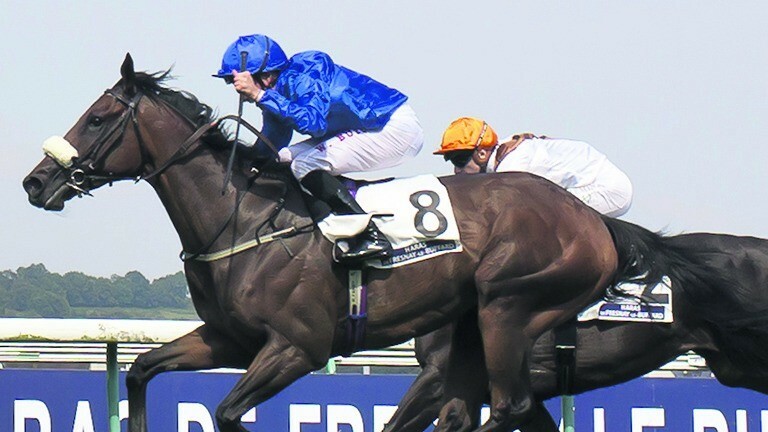 The Godolphin-owned colt was only third behind Japanese challenger Vivlos in Meydan's Dubai Turf on his first start at four, but Fahey has been delighted with him since his return, as Godolphin chase their eighth Lockinge, and fourth in five years. He said: "I've said he's the best horse I've ever trained and if I had to sum up what makes him special it's just that he goes fast easily. Hopefully he'll go fast easily on the soft ground. "He did win the Mill Reef there on soft ground. It was officially good to soft, but I think it was a bit slower than that so we aren't worried about the ground." Fahey added: "Dubai wasn't desperate for a first run of the year, but I admit I did go there hoping to win. They don't give you $6m races that easily though, and maybe he was a little bit fresh, as he didn't really finish off. But he's come back well – in great order." In the ex-Irish Toscanini, a close fifth in a Group 2 at Saint-Cloud earlier this month on his second start for Fahey, Godolphin have drafted in a highly rated pacemaker. Fahey agreed: "He's a quality pacemaker and we're very lucky to have him. He's a cracking horse for that job and he'll just make sure it's an even gallop. We don't want him to go flat-out, but we don't want a dawdle. We want Ribchester to drop his head." Martyn Meade, trainer of Aclaim, said: "It's a big day for him and he's raring to go. This has been his target since he won the Challenge and he's wintered well and really developed both mentally and physically. He added: "Jamie [Spencer] sat on him a couple of weeks ago and thought he had strengthened up into a bull of a horse. He's done all of the work we've wanted him to and he's versatile with regards to the ground. I think he's in a pretty good place at the moment, but of course he needs to be." David Simcock, trainer of Lightning Spear and Breton Rock, reported the former working well and in good order. He said: "He won at Goodwood on fast ground but it was soft at Ascot when he was third in the Queen Anne. "What he doesn't want is tacky, sticky ground, but that's the only thing that would worry me. Ribchester will be hard to beat, but we are hopeful of a competitive run." Of is other contender, he said: "Breton Rock is short of options with the Group 2 and Group 3 penalties from last year, but he'll love the ground." Somehow travels over from Ireland to represent Aidan O'Brien, and the trainer said: "We were very pleased with her last time when she won the Dahlia Stakes at Newmarket and she's been in good form since. "She's improved with each run this year and although she's dropping down to a mile and going into a Group 1 we're very happy with her." Mitchum Swagger needed the run at Sandown, where the track would not have suited him, according to trainer David Langian. He said: "He's in good form, looking much better than he did at this time last year. There aren't many options at this time of year, and he'll love the ground."